First off, let’s start with the size comparison. 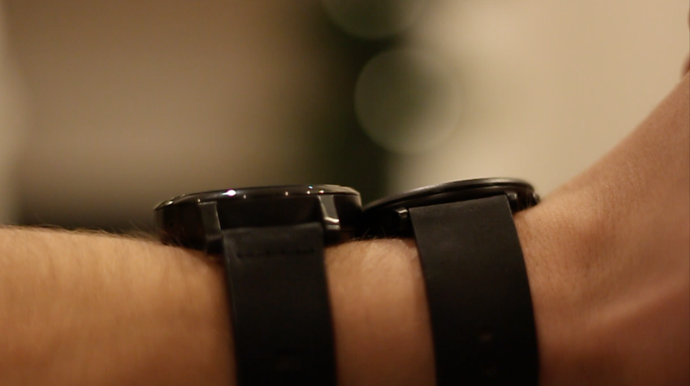 The Pebble Round has, by far, the thinnest watch face on the market. In comparison with the Moto 360, this watch looks paper thin! This is great news for women looking to buy into the Smartwatch market as the Moto 360, along with other smartwatches, have gotten a bad rep for being too bulky for small wrists. There is a women’s version of the Pebble Round that looks great! A beloved feature among both smartwatches are the quick release bands. Everyone loves easy customization, and both the Pebble and Moto have it! Check out quick release bands for your Moto 360 and Pebble from Clockwork Synergy! One of the other big differences between the Pebble and Moto is the battery. 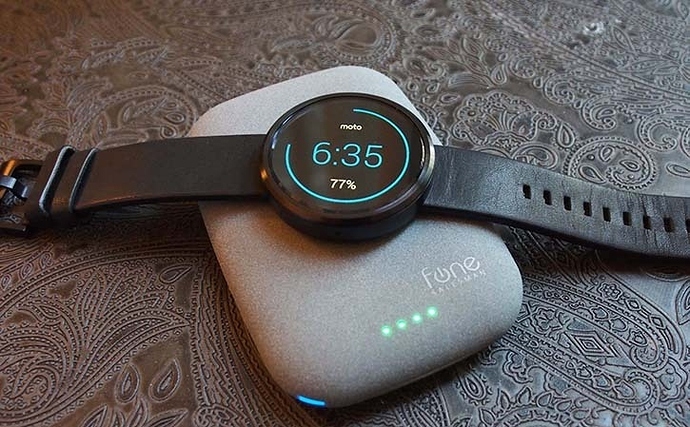 The Pebble does not have wireless charging capabilities like the Moto does, and the Moto 360 comes with a really nice charger. 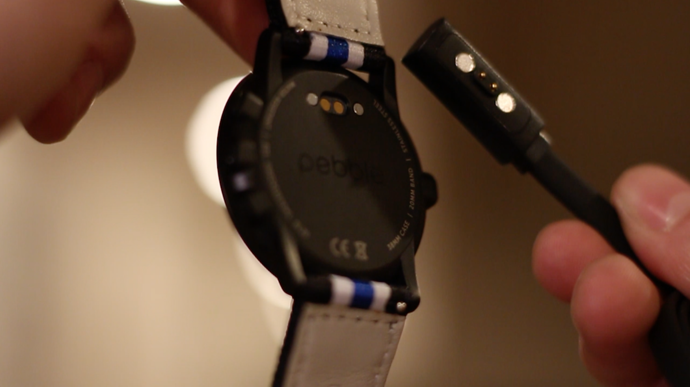 However the Pebble has extremely quick charge and get get a full days use by charging for only 15 minutes! Overall, the Pebble’s battery life also lasts a solid day longer than the Moto. This is due to another big difference between the two watches. The Pebble can hold a longer charge due to its E-Paper display, while the Moto uses a bit more juice with an LCD screen. Looking into the software and usage, we noticed some key differences in the notifications display and active wear capabilities. When receiving a notification on the Moto, you have the option to view it, hide it or swipe to get rid of it entirely. On the Pebble, the notification appears, then places itself in the Notifications app on the watch. To see it again, you need to go through the menu to find it. In our opinion, we prefer the simplicity that comes with the Moto to check important notifications. As for those looking for the active capabilities, both watches do work as fitness trackers. Though the Moto 360 definitely has more to offer in this department. Moto Body offers analytics on steps, calories burned, heart rate, and more, while the Pebble mainly only tracks steps and sleep patterns. This may be due to the fact that it does not have a built in heart rate sensor while the Moto does. The new Moto 360 sport is also set to launch on January 7th and features a unique LCD screen that provides the same anti-glare benefits as the Pebble. 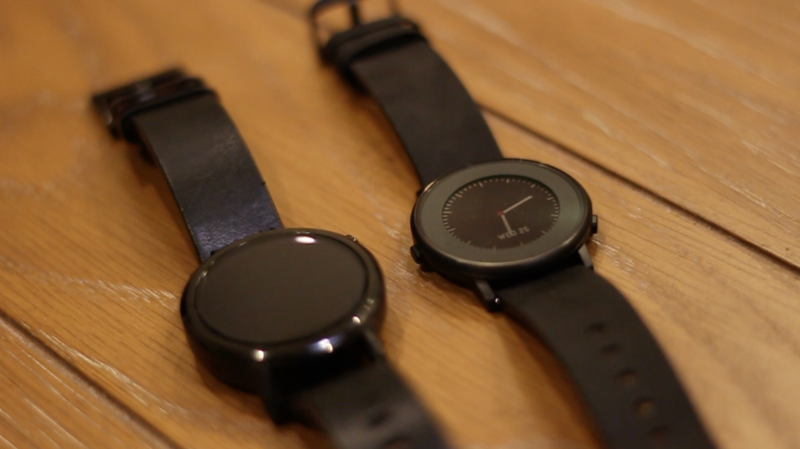 Overall, we really like both smartwatches. It does sound like the Moto 360 has more to offer, and it is known as one of the best androidwear smartwatch. But keep in mind that this watch starts at $300 while the Pebble can be found on sale for $200. 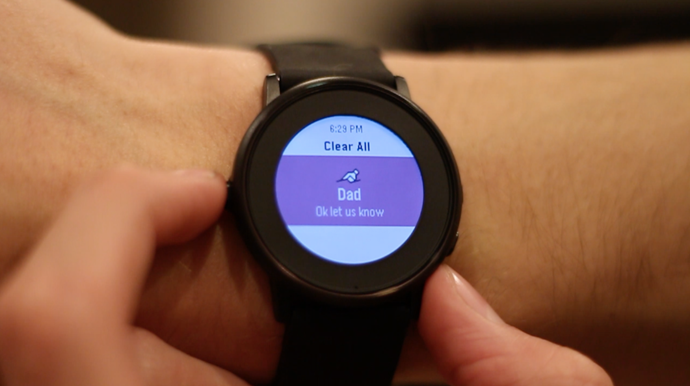 The Pebble is a more simplified smartwatch that works and looks great! If you are new to the smartwatch community and are looking for a great watch with SOME smart capabilities at a cheap price, than the Pebble Round is for you. And if you’re more techy than others and want a full blown smartwatch, then go for the Moto 360 second gen.